Prior to choosing a Body Psychotherapist you might find it helpful to read something more practical about Body Psychotherapy. Whether you are new to body psychotherapy or an experienced practitioner you may wish to start by reading Integrative Body Psychotherapy - some Common Ground where you can find some linked articles. Alternatively you can go straight to the articles library. Feeling more adventurous? Why not delve into one of the books from the CABP Bookshop. 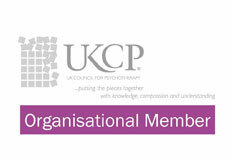 By searching our directory you can find CABP members offering Body Psychotherapy, Clinical Supervision, as well as Training. Our members embody rich backgrounds incorporating several modalities and theoretical orientations. By choosing the relevant title in the drop down menu you will be able to select a CABP professional appropriate for you. To search the directory now click here. July 2010 marked the end of an era in the history of Body psychotherapy in the UK when the Chiron Centre for Body Psychotherapy in Ealing closed its door. The centre was originally set up in 1983 by Bernd Eiden, Jochen Lude and Rainer Pervöltz. Many of the activities of the centre have now been taken over by the Chiron Association for Body Psychotherapists – CABP.